Chairm an of the Board of the South Grand Lake Regional Airport, Brent Howard, is known as a visionary to many in the area. In 2005, Brent envisioned turning what was once a grass strip airport with a pole barn hangar into a jet capable facility which would bring in people from outside the normal drive time. This idea would end up generating additional money into the local economy. Long believing that providing a long term source of income for the area was far superior to handout programs, the airport would provide income for local businesses to hire and retain valuable employees to serve the Grand Lake community. Graduating from Oklahoma State University, Brent brings a plethora of experience to the airport board with a highly impressive background in business which includes owning residential and commercial real estate companies; acting as a Bank Director and Commercial Real Estate investor. Brent Howard has served as the President of the Grand Lake Area Chamber of Commerce, Grand Lake Economic Development Council, Ketchum Economic Development Council, Grand Lake Boaters Association, South Grand Lake Scholarship Fund, Sigma Chi Order of Constantine, Oklahoma State University House Corporation, and Tulsa University House Corporation. 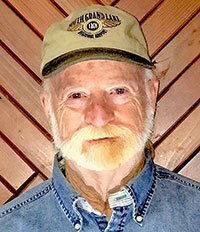 He has inspired and played host to many boat enthusiasts from around the country who partake in restoring classic boats at Howard Classic Boats. In recent years he has started raising Registered Texas Longhorn Cattle. He enjoys lake activities with his wife, four children and grandchildren. He also enjoys seeing the South Grand Lake Regional Airport grow. 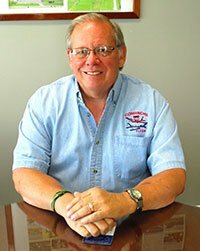 Accomplished is one word that accurately describes South Grand Lake Regional Airport Secretary, Bob Sullivan. Born and raised in Seminole, Oklahoma, Sullivan has resided on Grand Lake in Duck Creek with his wife, Liz, since 1976. Serving for 35 years as an Army National Guard JAG Officer and a former Tulsa Assistant District Attorney- Sullivan is best known around the Grand Lake area as General Counsel for the Grand River Dam Authority (GRDA) where he served for 33 years, retiring in 2009. The University of Tulsa College of Law graduate is also a proud past President of the South Grand Lake Chamber of Commerce; and an active member of the Vinita Lyon’s Club. The Sea Plane rated pilot has had the pleasure of owning two aircrafts including a 1946 Aeronca Champion and a 1966 Cessna 172. He notes logging some 1,500 hours as a pilot. One highlight for Sullivan was flying to Oshkosh, Wisconsin in 1976 for the Bicentennial Fly In. He also flew to various National Guard locations during the first Gulf War to assist with sending soldiers off to war. Sullivan came on board at the South Grand Lake Regional Airport when the runway was still just a path in the grass and has immensely enjoyed watching the airport grow. He helps the airport by keeping in compliance with the Open Meetings Act and takes published minutes. Giving back to the community is important to Sullivan. He is a proud member of the Grand Lake community and enjoys the wildlife in the area as well as the change of seasons. In his spare time during the summer months you can find he and his family out on Grand Lake in their beloved Cobalt boat. Joining the South Grand Lake Regional Airport Board in November of 2015, Certified Public Accountant, Layne Enloe, brings a wealth of information in finance to the table. Working at various Tulsa firms for over 15 years, Enloe also worked in Management at CRC Evans which manufactures equipment and supplies to the pipeline industry. Spending the weekends of his youth on Grand Lake, the Tulsa native earned a Bachelor’s Degree in Accounting with a minor in Finance from Oklahoma State University in Stillwater. He currently owns Green Country Total Property Maintenance which services various areas in Northeast Oklahoma. Specializing in docks, repairs and construction is a business that keeps Enloe busy during the summer months on Grand Lake. Living in the Grand Point Community, Enloe enjoys his role at the airport where he educates the board on many financial aspects; while fulfilling his duties at the fuel farm and the upkeep of runway lights. His love of aviation began at age 16 and while he doesn’t hold his pilot’s license just yet, it’s something he hopes to obtain in the future. While he is proud to sit on the board, he also enjoys being a part of his community. The father of one son, Austin, Enloe also enjoys being out on the lake with friends in his 25th Anniversary Edition Baja boat. While he doesn’t get much spare time, if he does, you can find him crappie fishing around the waters of Grand Lake. Living in the Grand Lake area for over two decades, Donna Belt is one of the most respected women in the area. Belt, born in Chicago, spent her formative years in Utah before moving to Oklahoma with her husband, Bob. Donna Belt helped build her name by offering her professional administrative services to various companies around the lake. Eventually landing for nine years with HydroHoist of Oklahoma in Bernice, she watched the small company grow by leaps and bounds to become the number one boat lift company in the United States and now sold around the world. She then went on to become the Executive Assistant to Arrowhead’s Joe Harwood for a decade, helping lead the way to make the Duck Creek Fireworks the largest display in the state of Oklahoma and the fifth largest in the nation. Retiring from Arrowhead Yacht Club, Belt found herself looking for something to pour her passion into and found that in the South Grand Lake Regional Airport. Watching the airport expand over the past two decades is something that Belt is amazed by and gives credit to visionary, Brent Howard. 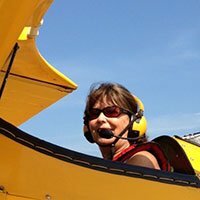 On top of being the very first female Board Member of 1K8, Belt is also very active in helping promote the airport by coming up with creative fundraisers for The Girlfriends of the Airport. The Girlfriends, consisting of eight women, work hard to ensure the airport is represented at the annual Hook N’ Cook Off, the 4th of July fly-in, annual paint and sip; as well as other various fundraisers held throughout the year. The funds raised go back into the upkeep and decor of the airport terminal and meeting room. Belt is proud of her position in the Grand Lake community and takes pride in volunteering her time and effort into something she feels is worthwhile for the area. The artistic, talented and business minded Donna Belt is a definite asset to the airport and she hopes to continue to see growth and expansion in the coming years. Dedicated Grand Laker and South Grand Lake Regional Airport Board Member, Art Box, became fascinated with aviation at a young age and earned his pilot’s license in 1968. It was an advertisement in a magazine which drew his attention to take his first flight lesson in a Cessna for a mere $5.00. He has been hooked on flying ever since logging some 4,000 hours. The former Army veteran who hails from Tahlequah, Oklahoma discovered Grand Lake in the 1960’s. He and his wife, June, have been full-time residents for over 22 years. Very active in the lake community, Art currently serves as a Board Member of the South Grand Lake Chamber of Commerce and has served two terms as the President of the Grand Lake Association. Fifteen years ago Art began Pine Lodge Resort, a beautiful lakeside cabin retreat, which has grown into a five-star lodging experience. Coining the phrase, “Grand Lake, The Crown Jewel of Oklahoma”- speaks volumes as to Art’s love and pride of the area in which he resides. As a SGLRA Board Member, Box has been excited to see the growth of the airport over the years and understands the important role that regional airports play in a small community. Helping maintain the grounds of the airport takes a group effort on everyone’s part and is one that he is happy to assist with. He is proud to sit on the Board of many accomplished individuals who all share a common goal of growth and expansion. Staying busy is nothing new to Art Box, but when he finds spare time you can find him fishing and boating on the waters of Grand Lake. He enjoys the people in the area, accommodating tourists and the peacefulness that Grand Lake brings. 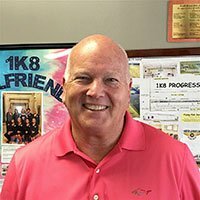 Board Member, Jim Brown, comes to the South Grand Lake Regional Airport with a background in industry franchising. Owning his own business for 18 years, Jim owned multiple Moto Photo franchises around Tulsa; later guiding others into owning their own franchising opportunities. Brown finally retired from Comfort Keepers, a Sedexo Company, as the Vice President of Franchise Development. Growing up in Oklahoma City, Jim became interested in aviation at a young age while living in Midland, Texas. He had a roommate that encouraged him to fly and was hooked after only one lesson. He officially obtained his pilots liscense in 1974. 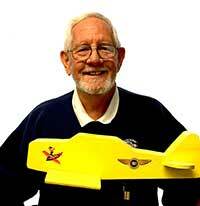 He is currently in a partnership on a Cessna 182 and has flown over 2,000 hours. Jim and his wife Paula, who serves as a member of the Girlfriends of the Airport, enjoy easy ride flights around the four state area all year long. Coming to Grand Lake for the first time in 1981, Jim fell in love with the area which became his avid weekend retreat. The scenery and friendly people were a draw to the friendly franchiser who built a home here in 1996. He sat on the airport board from 2002 to 2004 before moving to Ohio, returning to Grand Lake for good in 2013. Brown came back on as a SGL Airport Board Member in 2015. 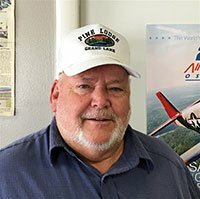 Jim Brown has enjoyed watching the airport gain several things over the years, including the 5,000 foot runway, self service fuel pump and new hangars. He is proud to serve on the Board with other area leaders who govern the airport and volunteer their time. His passion for flight is still in full swing and he has become an instrumental part of the upkeep of the 100 acres of property in which the airport sits on in Ketchum, Oklahoma. 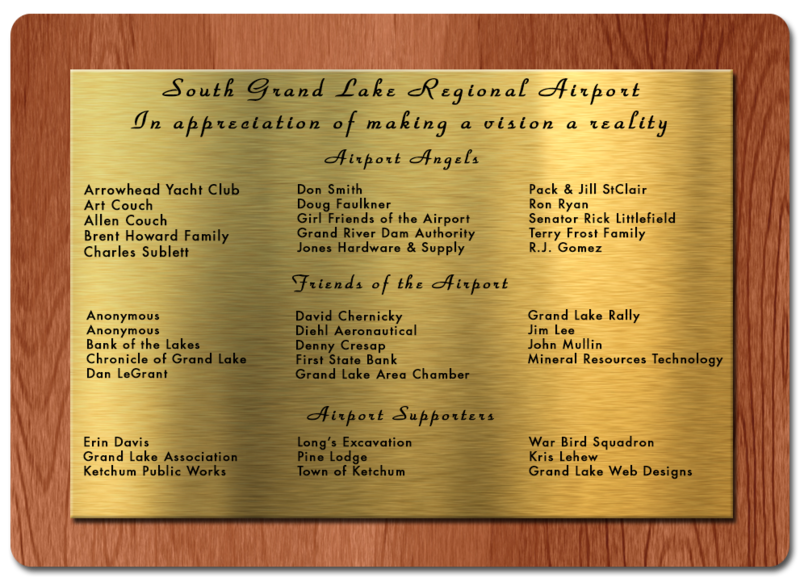 Board Member, Derrick Schmidt, has played a huge role in the growth of the South Grand Lake Regional Airport. While Schmidt owns his own aviation company (Derrick Schmidt Aviation) he also has a rare and impressive background. Not only does Schmidt posses 21 years of Cessna factory experience, he also worked for 7 years as an A&P mechanic at Wichita Service Center where he performed light to heavy maintenance on all Citation types. While spending 6 years as a part-time corporate pilot for Cessna’s in-house air transportation department, he also worked for 14 years as a Senior Production Test/Delivery pilot. He has over 8,000 hours of flight time in Citations; is licensed as an Airline Transport Pilot, Type rated in C-510S, C-525S, C-500, C-560XL, C-650, C-680, and C-750 and is an A&P Mechanic (current). Hailing from Wichita, Kansas, Schmidt attended Colorado Aerotech in Broomfield, Colorado in 1989. He started flying with his dad as a child, but notes he didn’t become serious about aviation until he finished his A&P and had a job at Cessna to pay for it. 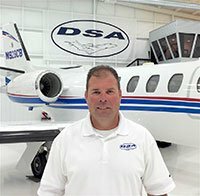 He started DSA once he saw a need for consulting and found a home for his business at the South Grand Lake Regional Airport. He has built an impressive hangar, complete with a makeshift control tower office and sleeping quarters inside. He has flown over 9500 hours and continues to pilot while also focusing on sales and acquisitions. Coming to Grand Lake in 1997 to purchase a boat, Schmidt instantly felt a connection to the area. He and his wife, Linda, have enjoyed living on Grand Lake full-time for the past six years. When he’s not in the air, you’ll find him on his jet ski or relaxing and spending time with his wife. He has a love for all fuel burning machines and is happy to sit on the airport board where he shares his knowledge of all aspects of aviation. He enjoys working with Brent Howard and discussing ideas on how to expand and grow the airport. Tulsa businessman and licensed pilot, Gary Watkins, joined the South Grand Lake Regional Airport Board in July of 2017. The Tulsa native earned a Bachelor’s Degree in Business Management from The University of Tulsa and obtained his pilot license soon after graduation. Over the years, Watkins has logged many hours as a pilot and has owned various aircrafts (Bonanza A36TC, King Air C90, Turbo Commander and 310). Watkins flew to and attended the ground breaking ceremony at 1K8 when the runway was an unpaved strip in the grass and has watched SGLRA grow and evolve over the years. His passion for aviation keeps him active at the South Grand Lake Regional Airport as well as the R.L. Jones Riverside Airport in Tulsa. As a SGLRA Board Member, Watkins is excited to be part of the growth of the airport and the community. Having raised his family in active aviation and water settings, when not flying or at the airport, you’ll find Watkins spending time with his wife Meg and their family out and about on Grand Lake. Officially retiring to Grand Lake full-time in April of 2016, South Grand Lake Regional Aiport Board Member, Dave Wolfard, is proud to represent the airport. The Oklahoma State University graduate takes pride in living and partaking in all things Grand Lake. 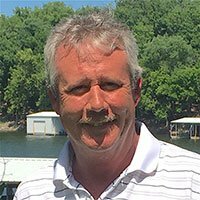 Traveling around the country for the past 30 years, Wolfard has acted as a Regional Sales Manager, Director of Sales and National Account Manager for companies related to the golfing industry such as Scotts Miracle-Grow, LESCO and SiteOne Landscape Supply. He also spent three years in Business Development at John Deere. While golfing has played a major role in his life, he has always admired aviation. Born and raised in the Norman/Oklahoma City area, Wolfard is no stranger to travel and aviation as it played a major part in his life during his career. Befriending pilot, Derrick Schmidt, of Derrick Schmidt Aviation, peaked Wolfard’s interest in aviation even further. He enjoys helping the airport and the board in any way that he can; and believes it will keep expanding and growing into the future. Currently focusing on his recent retirement, Dave likes spending time with his family, boating the waters of Grand and even partaking in the sport of rock crawling beneath the rocks at the Pensacola Dam between the towns of Disney and Langley. He enjoys small town living and the people he gets to meet along the way. John Ballard, Carl Clay, Art Couch, Jeff Ducato, Phil Frazer, R.J.Gomez, Gary Heitgrass, Dan LeGrant, Brian Ruth, Frank Sommer, Charles Sublett, Dan Diehl, and Wilson Jones. Donate to support the airport area economic impact using our online Paypal service. You will have the option of using your Paypal account or your favorite credit card. Copyright © 2018 South Grand Lake Regional Airport. All Rights Reserved.